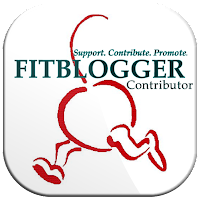 I wrote a little jingle for FitBlogger, with my new theory of a woman’s syndrome called BETES. Click here to check it out. Thanks to FitBlogger for letting me contribute! Go check them out on Facebook and on the web. I’m sure everyone will enjoy this article, which is a break from me talking about my food intake. Ah-hem. [Well, you aren’t so lucky! Because here comes the food talk!]. Well, yesterday, I did in fact, put the fork down for the first time in three weeks. I ate well and immediately lost three pounds of water weight according to this morning’s weigh-in on Tussie, my scale. How’s that for some motivation nation? Leaving me with only a 6 pound gain in three weeks since Miami 70.3. I am actually quite happy with that. This morning, I had a 1700m swim plus a 2 mile run. Coach Monster and I are beginning to work on my run form and technique. Shorter runs, more drills, more technique work. He is going to video my run on Friday after spin class (which he is threatening to put on YouTube. I will not be providing you any links, so do not ask, you greedy mongers). The swim was tough and the run was still difficult. I am dealing with impinged rotator cuff in the right shoulder, as well as the same old hip, IT band conundrum – so starting off slow and working the technique is ideal as well. I am ready for Thanksgiving, but am ready for a boring, steady, day-to-day routine as well. I hope you all have a great Thanksgiving holiday. Oh, and I decided to spend my holidays this year as a brooding, darker brunette. I admittedly look a little like Elvis in this picture. Thank you, thank you very much.